To awake in silence within the Valley of the Moon in the land of Jordan’s King, gives provenance to a feeling of awe. Within four timeless landscapes – the mysterious Wadi Rum, ancient vibrant Red Sea, vast bio-diverse Wadi Dana, and the shimmering beauty of the legendary Dead Sea – life’s flourished for eons. And defying time, Jordan is a land where Bedouin society is still relevant. Nothing stands still, but it’s soothing to sometimes hear little more than the bells of goats, birds, the clink of a coffee pot, the strains of the rebab and the call to prayer. Wadi Rum is exotic; each rock formation is a unique sand and wind sculpture. What looks forbidding has teamed with both wild and human life for millenniums. Ancient pictographs are millenniums old road signs directing caravans to fabled cities. Many Bedouin tribes call the Wadi Rum home. Why visit: Because it’s unique. Located 35 miles east of the Red Sea city of Aqaba, the Wadi Rum Protected Area should only be visited on an excursion with a guide. Camel rides of varying lengths can be easily arranged, and will become a memorable event. The camels are comfortable around visitors. Ancient pictographs show a diversity of life. Site of the early 20th century carved in rock Great Arab Revolt memorial to T. E. Lawrence, Prince Abdullah Bin Al Hussein and the Bedouin Sheik Odah Abu Taeh. The memorial is close to the ruins of a small house built for Lawrence while headquartered in Wadi Rum. Where to stay and dine: Captain’s Desert Camp gives visitors a sense of Bedouin living, except with modern plumbing. Located within the Wadi Rum Protected Area, this attractive Bedouin style tent village provides a taste of desert life as well. A tent-covered dining and lounge area is open to one side of a large garden courtyard. It’s long pillow covered couches and wooden tables invite either sitting or reclining while enjoying Bedouin musicians playing the rebab and singing traditional ballads. Lunch was a well-prepared selection of fresh wood grilled lamb, chicken and an array of traditional mezze dishes and desserts – no alcoholic beverages. Deeper into Wadi Rum, at the intimate Captain’s Private Desert Camp, guests sleep in authentic, thick goat wool woven tents. The wool floor coverings and bed covers provide a comfortable enough night’s sleep considering the desert’s silence and the modest mattress comfort. Do bring mosquito repellent – despite how dry it is, a few mosquitoes find there way into the desert. Both camps have bath facilities with hot water, but do not expect luxury or shelves. The couple dozen tents are sheltered within the walls of two impressive rock formations. At night candles and a campfire illuminate the attractive sitting area on the sand with rugs, low couches and pillows. A dinner of meats, fresh vegetables and rice were all seasoned with aromatic herbs and slow roasted in a traditional Bedouin oven – a lined, covered pit deep in the sand. The atmosphere invites lingering, conversation, sharing music and stargazing – the enchantment of an overnight in Wadi Rum. Moses and the Egyptians visited the Red Sea years ago, and it still maintains an allure. Whether it’s the clear aqua water and delicious fish, or the sight across the sea from Aqaba to two Hilton hotels that face each other across the Israeli and Egyptian border, the Red Sea made me smile. The bustling seaport of Aqaba hummed quietly with a cooling breeze. Cruise ships jockeyed with yachts and fishing boats. Once the western port of the legendary Spice Routes to the Orient, the Aqaba Special Economic Zone still attracts massive merchant ships from China and the globe. Why visit: Boating in the Red Sea and the Kempinski Hotel Aqaba. Sea Guard Diving and Sea Tour Services offers multi hour motor yacht tours of the Red Sea that can include scuba diving, snorkeling, fishing and swimming as well as a freshly prepared lunch. On this day, the captain caught a Red Sea tuna that was grilled on the ship along with lemon and thyme marinated chicken. The spacious yacht had all modern safety features and bath facilities. It comfortably provided half a day of relaxation, swimming and snorkeling for over a dozen on board. The Aqaba Souk is the old town of Aqaba rather than a central market. It’s within walking distance of most hotels but have a good map or guide. A warren of small shops sell everything from dollar store items, fine hand tailored clothing to whole dressed lambs and a mosaic of spices. Stop in at Bakery Al Janob and taste freshly baked flatbread coming off of a Rube Goldberg-type machine that mixes, rolls and bakes Jordan’s national bread. Where to stay and dine: The Kempinski Hotel Aqaba is a sleek glass and marble homage to the Red Sea. From the moment eyes fixate on the panoramic sea view through the lobby’s multi-story glass wall to balconies from the all sea view rooms, everything at the Kempinski is designed to let water relax the guest. Besides the views, the guest rooms are minimalist sleek with all the luxuries expected in a Kempinski. The extensive breakfast, lunch and dinner buffets – alcoholic beverages available – are substantial examples of the breadth of Jordanian cuisine and the artistry of Kempinski’s presentations. 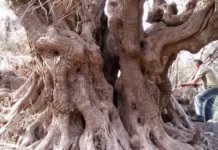 Wadi Dana (The Dana Biosphere Reserve) although arid, is the most diverse region for plant life in the country. Life is dependent on water, but not all life requires as much as humans. Yet among the photo perfect scenery of multi colored stratified rock formations of sandstone, limestone and granite, this vast expanse of arid Jordan has been a homeland of Bedouin culture for millenniums. Why visit: Besides the Dana Biosphere Reserve being a geologist and naturalist dream, Bedouin camps dot the Wadi Dana and with advanced arrangements traditional hospitality can be experienced with a family. It’s an opportunity to glimpse an ancient and still relevant lifestyle. A Bedouin experience often includes gathering at a family’s camp. The kitchen tent with the women may be preparing ash bread. A fire burns in a sand pit while the bread is mixed and kneaded. It’s a dense flat bread that’s baked by being covered with the hot sand and coals that’s often served with goat butter ghee, which has a pungent sour taste. Men are in the living room tent. An elder makes coffee, starting with roasting the beans in a long handled frying pan over an open fire. The roasted beans are ground in a mortar to which cardamom seeds have been added. The cardamom adds a subtle flavor profile of slightly bitter flowers. As the elder grinds the beans in a mortar he uses the pestle to make a bell sound, which is an invitation to any passing man to enter the tent for coffee. Bedouin ritual surrounding coffee is as important as flavor. An array of subtle gestures – taking the cup with the right hand, shaking the cup to indicate no more, a fourth cup is rude – govern a social gathering for coffee. Yet under other circumstances a guest placing the cup on the ground before drinking may have tribal implications. Like a power lunch, this simple beverage often plays an integral role in many financial, tribal and family negotiations from goats to marriage. The Dana Biosphere Reserve protects among its unique life the endangered Nubian Ibex. Guided nature walks and hikes through the canyons and desert can be arranged, especially through your accommodations. Advice: Never venture off the beaten track without a qualified local guide day or night. A GPS will not usually compute the open spaces of a desert. Bring sunblock, insect repellent, flashlight, shoes (not flip flops) and clothing that covers exposed skin from the sun and out of modesty to local culture. Where to Stay and Dine: The Eco Lodge Feynan (vegetarian dinner and breakfast buffet included – no alcoholic beverages available) is a handsomely designed adult hostel. “Helping nature helping people,” is the motto of the Royal Society for the Conservation of Nature that created the lodge a decade ago. Candles that light the lodge are made on site, all furniture is made locally, the firewood is composed of compressed olive pits and there’s a small gift shop with local teas and spices. Pack flashlights since at night only votive candles light the lodge including staircases, hallways and guest rooms. In the guest rooms a solar powered electric light is in the bath, but no candle sconces light the room numbers in the hallway. The rooms are attractive but with monastery hard mattresses. The Earth’s lowest point on land, impossible to sink, healing mud, two dozen medicinal minerals and serene sunsets have drawn visitors to the shores of the Dead Sea since human life first entered the Levant. At over 1,400 feet below sea level, there is nothing like the Dead Sea anywhere on earth. Its stark, calm, shimmering beauty is mesmerizing. The experience of floating in the Dead Sea is unique! It’s nearly impossible to do anything else but float on your back due to the buoyancy created by the 34% salinity of the Sea. Precautions: Do not allow the mineral salt water to get into eyes because you will need to flush them out with fresh water immediately. Do not remain in the water longer than 20 minutes at a time because bathers need to drink fresh water to avoid possible dehydration. Many of the hotels provide fresh – dug daily ­– black mineral rich mud for their guests to use at the hotel’s shore facilitity. Allow the mud to dry for 10 to 15 minutes. The bather then traditionally washes the mud off in the Sea, except for the head and face, which is washed off using fresh water showers on the shoreline. The skin is left silky smooth. The Jordan River is the Dead Sea’s fresh water source. Even with considerably less water volume than in biblical days, the site where Jesus of Nazareth met his cousin John the Baptist has been drawing visitors and pilgrims since the 4th century. Besides the quiet reed lined riverbank, excavations of early Christian churches on the Jordan side provide accepted evidence that a visitor is at the location where that history altering baptism took place. Where to stay: The same architect of the Kempinski Aqaba designed The Kempinski Hotel Ishtar Dead Sea. Taking advantage of the steep Dead Sea shoreline, the Ishtar’s buildings are grouped reminiscent of an ancient multi level Babylonian city. Gardens of indigenous plants cascade from buildings, terraces and staircases as guests meander on paths around pools, through outdoor cafes and gradually down to the Dead Sea shore. The sumptuous, artistic buffets in the panoramic Obelisk Restaurant ­– alcoholic beverages available – are matched by the deft skill of fine grilled meats and fish in the a la carte Codes Restaurant. Facing due west, the sunsets over the Dead Sea from the Kempinski Hotel Ishtar are incomparable. Disclosure: the author was a guest of Jordan Tourism Board North America – tour arrangements made in conjunction with the International Food, Wine & Travel Writers Association. Royal Jordanian Airlines flies non-stop to Amman from Chicago and New York. Jordan maintains a high level of security sheltering the country from regional turmoil. All hotels provide airport-type security. Previous articleΤέσσερις προσωπικότητες της Ελληνικής Ομογένειας σε Φιλαδέλφεια και Νέα Υόρκη, συναντά στο δεύτερο αυτό, οδοιπορικό της στις Ηνωμένες Πολιτείες η εκπομπή ΔΙΑΣΠΟΡΑ.